You need the right parts to keep your Jaguar running properly. 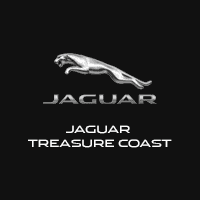 The experts at the Jaguar Treasure Coast Parts Center are here to help you replace parts without hassle. Our online resources make it easy to get started. We’re dedicated to having the parts and accessories you need to help your Jaguar stay on the road for longer. Use these online tools to get started. Jaguar parts specials offer daily deals on the parts, equipment, and accessories you need. Make sure we have the part you need in stock by filling out the order Jaguar parts form. When you’re ready to have your parts installed, schedule service online here. These helpful resources make our team easy to work with, allowing you to prepare for service and installation from the comfort of your home. We’re open until 6:00 p.m. on weekdays and until 2:00 p.m. on Saturdays. Contact our Jaguar service center to set up an appointment. Don’t forget to check out our current Jaguar service coupons to find the latest deals on brake service, oil changes, and more.